Hamburg, Germany based Girls Under Glass, formed in 1986, are still going strong with members Voker Zacharias, Hauke Harms, and Axel Ermes. Nineteen years after the bands inception, and ten studio-releases later, this hot Electro-Industrial-Goth band are still leading representatives of modern alternative music. The band was founded in 1986 by Volker Zacharias, Thomas Lcke, and Hauke Harms, with Dr. Fluch joining the band for the release of their debut album one year later, titled Humus. It would be two years after that, in 1989, that the band released their follow up album, Flowers. At this point, the final member of the current band, Axel Ermes, joined the band with guest musicians Marcel Zrcher and Olaf O. With Axel, the band released its third album, Positive, in 1990. The band's fourth album, Darius, was released in 1992, and was the first CD the band recorded with a real drummer, Marcus Giltjes and new guitar player Raj Sen Gupta. The band members all returned for work on Christus, released the following year. In its current form, the band with only Volker, Axel, and Hauke, recorded Crystals & Stones in 1995, and began touring with Robert Wilcocks of Sleeping Dogs Wake and Cobalt 60, playing their first shows in France and Spain in 1996. The Firewalker album was recorded in 1997, and was inspired by the American industrial metal and electro music scene, by bands such as KMFDM, Nine Inch Nails, Stabbing Westward, and Gravity Kills. KMFDM drummer Rudi Naomi joined the band for the follow up tour with Deathline International. Equilibrium brought the band back to it's electro-industrial-gothic roots in 1998 and the seminal anthology Nightmares was compiled in 1999, which included the bands biggest hits, as well as out of print and new, unreleased tracks. The band co-headlined the famous Gotham festival in London after the release of Minddiver in 2001, the first album released on the bands own label, Aragon Records. In 2002, the band recorded 16 tracks from their European tour for their first live album, Live in Light & Darkness. After taking off for a little over a year, the band came back with Zyklus, which was released in early February 2005. In this, the bands tenth album, Girls Under Glass found a new North American home, Metropolis Records. Zyklus was a testament of GuG's open mindedness. Rock music was forged with electronic programming and a mixture of English and German lyrics to run though a spectrum of metal to electro to pop without losing sight of any type of fluency. 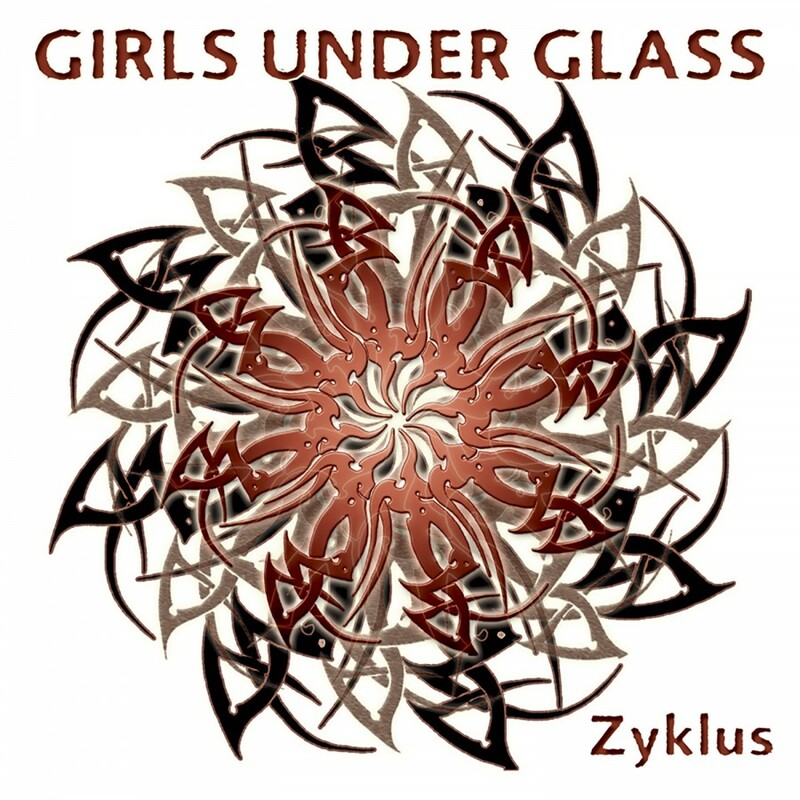 Solid songwriting, intense atmospheres, and outstanding vocals made Zyklus one of the best label debuts Metropolis had seen in a long time.